The Law Weekly was founded in 1914 by late Sri V. C. Seshachariar, a doyen of the Madras Bar. He was the Proprietor-Editor till his demise in 1936. Later after the demise of its founder, Sri V.C. Vasudevan son of Mr. V. C. Seshachari was in charge from 1937 till 1966. He started the other Journal called "Law Weekly (Criminal)" in 1966 which has been well received throughout our State, by practitioners in the Criminal Courts. After his demise in 1966 the journals were run by his sons Mr V.C.Srikumar as the Editor from 1972 and Mr.V.C.Ramachandran as its Publisher. We advanced one step further in the path of progress, by reason of the commencement in 1984 of a separate monthly journal for reporting judgements under the Writ Jurisdition, the Writ Law Reporter. It is our duty to acknowledge the help and patronage we have received in this task of legal reporting from the Honourable Judges of the Madras High Court and all the members of the Bar in our State. We are in our 104th year of service to the legal profession with our Web version available at www.thelawweekly.com. The Law Weekly also has a offline DVD version to access its content with regular online updates. 1. Mr. V.C.Srikumar, Editor, has been associated with the journal for last 63 years and has been its Editor for the last 41 years. He is the grand-son of the founder Mr.V.C.Seshachariar and son of its late publisher Mr.V.C.Vasudevan. He is the senior most member of the committee and is also on the Board of the other two journals namely Law Weekly(Criminal) and Writ Law Reporter. Mr Srikumar enrolled in 1949 and was an apprentice to late Mr.V.V.Srinivasa Iyengar who was a Judge of the Madras High Court. Mr Srikumar was one of the lawyers in famous “ Champakam Dorairajan case” which led to the second Constitutional amendment later. 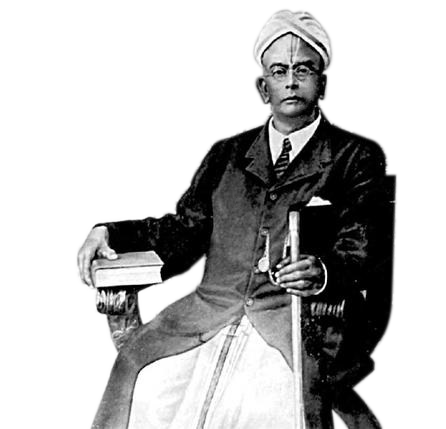 He practiced under the late Doyen of the Madras Bar, Mr.N.R.Raghavachariar, authority on Hindu Law with whom he worked on bringing out many Books and commentaries in Law. Mr srikumar is alo heading the committee on Law Weekly(Criminal) as its senior most member and was also its Editor. It was started in 1966 by his late father Mr.V.C.Vasudevan, which reports judgements on Criminal Law. Mr Srikumar started another Journal called the “Writ Law Reporter” in 1984 to report judgements in the ever growing field of Constitutional Law and Writ Jurisdiction. He has been singularly responsible for the running and maintaining the standard of all the 3 journals these last more than five decades. He was felicitated for his contribution to Law by the former Chief Justice of the Madras high Court, Honourable Mr Justice A.P.Shah in a function in 2007 where his contributions were highlighted. Mr. V. C. Srikumar our former Editor passed away in 2015 and Mr. V. C. Ramachandran our former publisher passed away in 2016. We recall with gratitude the services of both of them. The journals are published by V.C. Janardhanan advocate, son of Mr. Ramachandran and nephew of Mr. Srikumar as its Editor. Every step is being taken to continue the publications on the same lines on which we have been rendering service all these years to the legal profession in our State. We assure that we will continue the tradition with dedicated efforts to the legal profession.